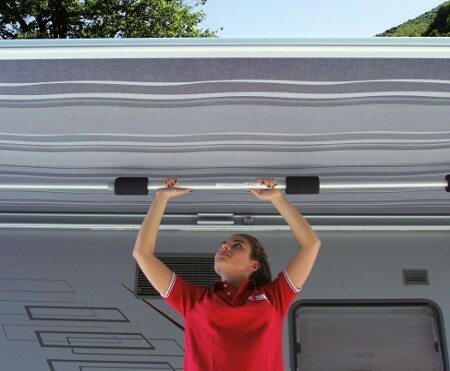 Fiamma Magicrafter gives increased strength to the Fiamma Motorhome Awning. Lateral roof support pole for wind-out awnings. 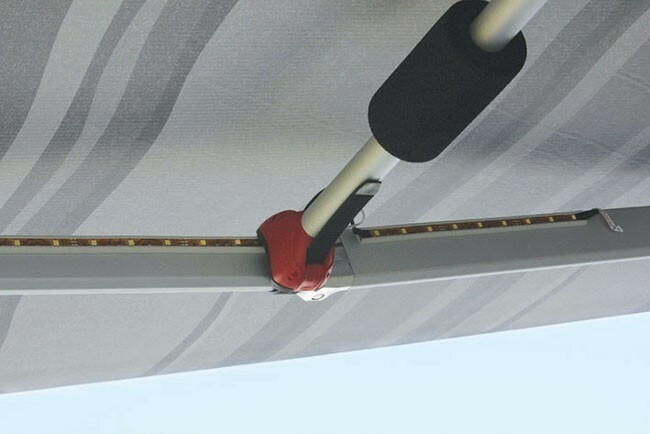 MagicRafter fits from side to side on the awning and clamps to elbows on awning arms locking them in position and bracing the awning frame to add strength to the structure. 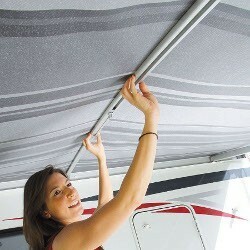 Suitable for Fiamma F45 and F65 awnings in lengths from 250 to 400. 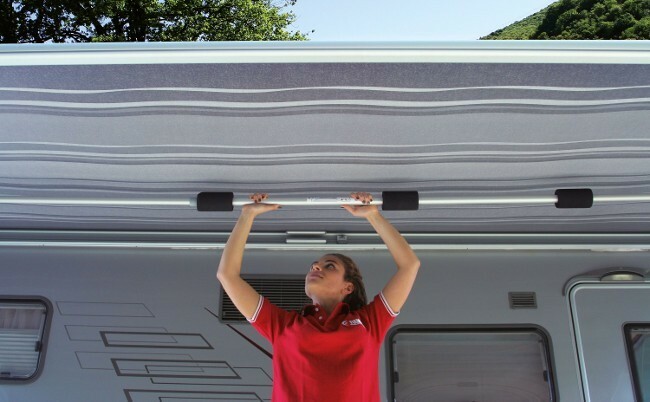 Fiamma MagicRafter is telescopic and has universal clamps so can be used with most brands of wind-out awning of similar length. Made from anodized Aluminium with twist lock action to lock in extended position. Twist to open and close. 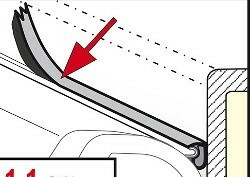 For awnings from 250-400 cm in length. 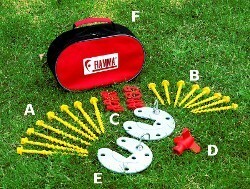 Also fits other awning brands.